For those of you out there who are looking for recommendations from a more official source than my blog, your day has come. Amazon has released their annual list of the biggest books for fall. The Big Fall Books Preview includes selections from every genre, so you are sure to find something that will catch your interest. I've added a few things to my On Reserve list, mostly novels, but there truly is something for everyone. I read this book by accident. I thought I was picking up the novel about the CIA, also titled The Company; but I wasn't paying attention to the author name and I grabbed this one instead. Once I realized my mistake, I was already far enough into the book that I was intrigued by where it was heading. 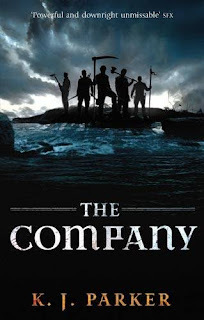 The story is about 5 men who served together as "linebreakers" in war and are now setting off to start their own colony. It is set in a fictional world that somehow simultaneously gives the feel of the modern era, while the details include farms and Greek-era warfare. The narrative bounces back and forth from the present time to stories of their wartime heroics. 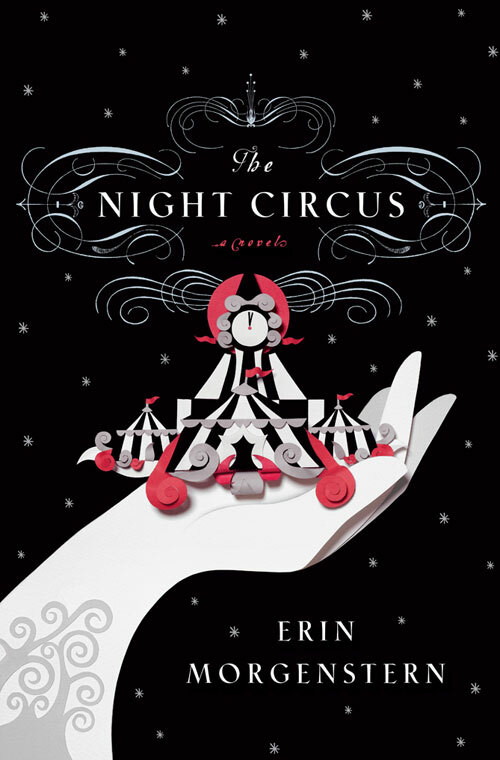 I just turned the final page of The Night Circus by Erin Morgenstern and feel a bit as though I have woken from a dream. The book is nothing short of, well, magical. Celia and Marco are unwittingly bound together in a mysterious competition while both very young. They each are trained, Celia by her magician father and Marco by a phlegmatic man in a gray suit. As the grow older, each becomes intricately involved with Le Cirque des Rêves. The Circus of Dreams, which begins as the eccentric dream of a wealthy dreamer, becomes the stage for their contest. Not even a month ago, I read an article suggesting written word replacements for cancelled television shows. In addition to being an avid reader, I have to admit that I love a good television show as well. At least, one that has the same qualities of the books I enjoy: an unpredictable plot and multi-dimensional characters. One such show, Pushing Daisies, fell victim to the writer's strike a few years back. This show was a brilliant, colorful fantasy about a pie baker with a supernatural gift. The characters were delightful, the writing was witty, the visuals were stunning. Seriously, if you have not seen it, find a copy immediately. My child-like adoration of Pushing Daisies of course meant that when the article suggested The Particular Sadness of Lemon Cake by Aimee Bender as a fix for those missing Daisies, I had a library copy of the book in my possession within a week. I read it in one day. It has been a while since I have revisited one of my favorite genres: chef memoirs. Back in February, I read Gabrielle Hamilton's masterpiece Blood, Bones, and Butter. I have serious doubts that anyone else could reach the standard Hamilton set, at least by my observation. In her attempt, Lauren Shockey adds an international element and the young voice of someone eager to learn and still unsure about her path.